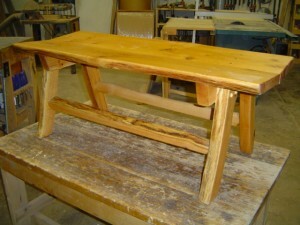 Home » Blog » March 24 & 31 Build a Solid Oak Butterfly Bench. March 24 & 31 Build a Solid Oak Butterfly Bench. Workshop: March 24 & 31 Build a Solid Oak Butterfly Bench. Join master woodscraftsman Duane Shoup in his Shevlin woodshop for a two-day workshop in which each participant will build their own solid oak bench for indoor or outdoor use. Sign up for the workshop through Region 2 Arts Council http://r2arts.org/ Hurry!